It’s been a stressful time, but family, friends, the cats, and most particularly Mrs. 17 Seconds are keeping me sane. 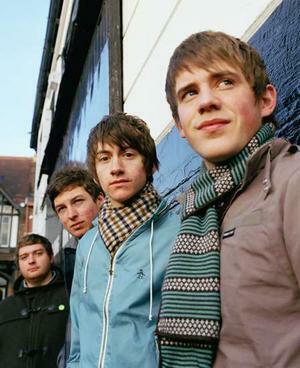 Have been having a bit of an Arctic Monkeys session this evening, and that’s done a fair bit to lift my spirits. Funny to think that when they first appeared, I dismissed them as Libertines copyists. I still think ‘Fake Tales From San Franciso’ is a a bit too close to ‘The Riverboat Song’ by Ocean Colour Scene for comfort (and that got rammed down all our throats a decade or so ago), but Alex Turner is an excellent lyricist and tunesmith. There’s supposed to be a new album later on this year, produced by Josh Homme, of Kyuss/Queens Of the Stone Age fame, no less. So, yes, this is what is called ‘Incidental music.’ Except of course, this being the Pythons, a comedy troupe made up of six geniuses, nothing was incidental. The compilation starts off with ‘The Liberty Belle’ which always ended with that splat. As the sleevenotes point out, on its own, the music may seem innocent enough, but to a Monty Python fan there’s a hidden layer of comedy in each track. The thing about the Python’s humour, be it TV, Film or Live was the sheer absurdity of so much of it. In some way the ‘innocent’ music made things that little more believable. Whilst many of the songs from the films have been widely available for years (and in the case of ‘Bright Side’ a hit single), this is the first time that these recordings have been available. De Wolfe, responsible for last year’s staggeringly comprehensive Kung Fu soundtracks have put this compilation together and for a Python fan it’s a dream come true. For the rest of the populace, this is a compilation long overdue. 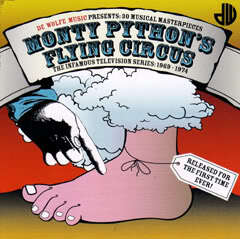 Monty Python’s Flying Circus -30 Musical Masterpieces from the Infamous Television Series 1969-1974 is released by De Wolfe on June 29. Michael Jackson has died at the age of 50 in Los Angeles. Whatever the rumours, the whispers, the suggestions and some uncomfortable feelings at times, there was no doubt that the man wrote and performed some amazing songs, influenced and soundtracked a generation. As an eleven year old, I remember knowing on my birthday in 1987 that what I was spending the £5 from my Grandad on was Jackson’s latest album, Bad. The title track had been a massive hit, and indeed almost every track on the album was a single, and a hit at that. It did not disappoint – and it still doesn’t. It was announced that Jackson was going to be playing Wembley Stadium. The tickets were £17.50. The place held 72,000 and sold out within days (bear in mind that there was no internet then, which meant people had to queue in person or ‘phone; on the other hand, touts couldn’t flog them on ebay within minutes either). My parents, perhaps not unreasonably in retrospect, refused to shell out to pay for them, and I remember being bitterly jealous of those who got to go. 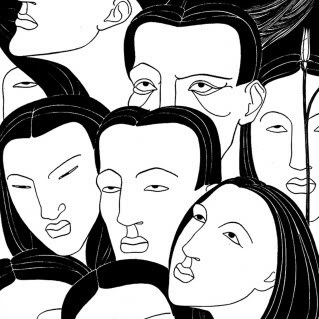 But when Jackson arrived the following summer it seemed like the whole country was beside itself. That Christmas the two big films at the cinema were Who Framed Roger Rabbit? and Moonwalker, the latter starring Michael Jackson. It was an odd mixture of music videos and a bizarre film in which he was a ‘benevolent gangster.’ It was odd, but fun at the time. His autobiography Moonwalk had also come out that year. He really was a big deal. His solo career started in parallel to the Jackson 5 in the early seventies and truly came into its’ own with the release of 1979’s Off The Wall album. Produced by Quincy Jones, who would produce his next two albums, it captured the disco zeitgeist, and the NME has frequently included it in its’ list of the 100 best albums ever made. In 1987, Bad was released, spawning its’ many hits. 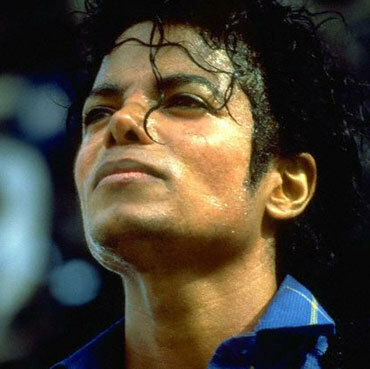 Despite the lead-off single being ‘I just Can’t Stop Loving You’ which isn’t one of the album’s better tracks, the many hits kept coming. The video for the title track was directed by Martin Scorcese. ‘Man In The Mirror’ featured a montage of starving children which made for slightly uncomfortable viewing, but at least he gave the money to charity. UNLIKE A CERTAIN ENGLISH SLAPHEAD WHO USED A SONG ABOUT THE HOMELESS TO LAUNCH A VERY BIG ALBUM THE FOLLOWING YEAR, DIDN’T GIVE THE MONEY TO CHARITY AND THEN ANNOUNCED HE WAS VOTING CONSERVATIVE. Around this time, The Wire magazine, synonymous with left-field music had stuck Jackson on its’ cover.
. 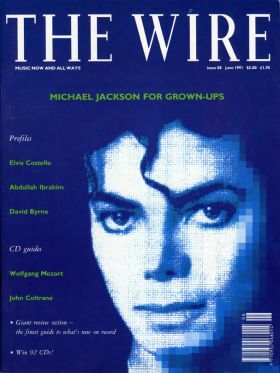 In the editorial that month, then editor Richard Cook stated: “if you also think that Michael Jackson is some addled freak making music for ten-year-olds, and not one of the creative masters of today’s black music, we’d like to suggest a different perspective.” The Wire included ‘Black Or White’ the following year in their list of Top 50 Rhythms of all time, commenting: ‘The facts about “Black Or White” are these: it’s discometal, a genre he more or less invented with “Beat It”, he’s singing for his life, to protect his honour, to declare his politics, it has a bass line like a funky needle-skip on a dust-covered record, and it’s affecting because it proves he knows how trapped he is – he’s as impassioned as he was on love songs ten years ago, but throws all the technique of passion, the little gasps and screams, at you as if they were easy and meaningless.’ Thriller also made The Wire’s list of The 100 Greatest Records ever made. The nineties were a very up and down time for Michal Jackson. Though the records were continuing to sell, the rumours were getting louder about what he was like. In 1996, at the Brit Awards during a performance of ‘Earth Song’ Jarvis Cocker invaded the stage, fed up at what he felt was a completely over the top performance. ‘Earth Song’ had been the Christmas no.1 the previous year, one of many singles from the HIStory album. His final album Invincible arrived in 2001. NME summed up lead single ‘You Rock My World‘ by pointing out that when Jacko was around, things were never dull. And that’s pretty much an understatement. Remember him for the music and the videos, for that we could see and hear, and share. It would have devastated me in 1988, but twenty-one years later, it’s still no little shock. It’s called ‘Cabin Fever’ and is taken from their rather fine debut album Loosely Based On Fiction. This is the video…and(biased as I am) I think it’s just as good as ‘God Says’ if not better! Escape Act – Cabin Fever on MUZU. We’ve had some nice publicity regarding God Says, it seems to be doing quite well, particularly on eMusic. Go and buy it if you haven’t already! Member Of The Wedding hail from Glasgow. The three members are ” Rory, who sings and strums the guitar, Louisa who plays bass, synth and percussion and Stephen who thumps the tubs and keeps the rest of them in time.” they got in touch with the blog a few weeks ago, and sent me a copy of their debut EP ‘Chapter & Verse’ which is out on Cosy Recordings. Limited to 300 copies only, it is well worth tracking down a copy. * And no, it is not on iTunes, I’ve just checked. So…what are you waiting for? Check their myspace here and go get a copy! …and as always, once you’ve listened to the tracks, let me know what you think! It’s been quiet around here the last few days…many apologies. But good to see people are still reading and leaving comments – and may anyone who’s spammed me spend eternity with Daily Mail readers with a soundtrack of Celine Dion, in the ninth circle of hell: the one that is reserved for betrayers. Anyway, there are many good people in this world – and they deserve something good and life-affirming. Back in December, I came extremely close to chucking in the blog. I was fed up with takedown notices from the DMCA, and being used by people who were getting support from the blog only to turn round and mess me around. I’d been sent a CD of four tracks from America of four tracks by Dion Roy. As I sat down to mark in an empty classroom and feeling despondent about, well, everything, I thought I’d chuck on the CD and think of something nice to say to his friendly publicist when I emailed her to say I wouldn’t be doing the blog anymore. It didn’t come to pass. The sampler was so strong that I started to remember why I was writing the blog. I may even have smiled at one or two points. The blog continued. 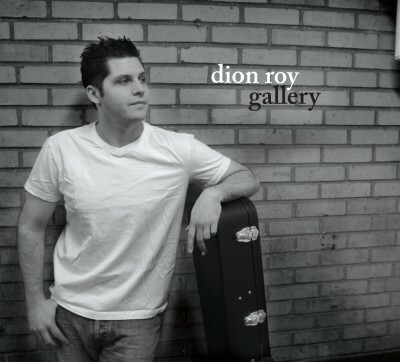 Dion Roy’s strength -and I mean this as a compliment – is in his simplicity. These are ten very nicely crafted songs. There is no ‘I wanna be the next Bob Dylan’ idiocy here, nor an ego that tries to cover up mediocre music. It’s ten straight down the line gorgeous pop songs. Is it sonic innovation? No, and nor does it claim to be nor need to be. But in a world of so many copycat singer-songwriters, on the strength of this debut, Dion Roy is the guy waiting patiently to quietly deliver something very strong. My favourite track – and the opening on on the sampler that stopped me in my tracks at the tail end of last year is ‘Wants It.’ It typifies this album, slightly self-effacing and utterly endearing. After weeks of tearing my hair out, it makes me feel that there’s a meaning to this. The lyrics are straightforward without being cliched -sometimes when you’re waiting for what might be an obvious rhyme, something else comes up instead. No rhyming fire with desire here. The voice is proof that easy on the ear does not equal easy listening, middle-of-the road naffness. A few months ago, I posted ‘Summer Of ’69’ by Bryan Adams, one guilty pleasure from the eighties. Guns ‘n’ Roses t-shirts can now be bought in Next, I see. This is yet another example of band tees being sold to folks who have very little clue about who the band actually are…or is it? I’ve ground my teeth seeing people walking around in those Ramones T-shirts who I suspect have no clue who they are. But G’n’R were always a bit more mainstream. 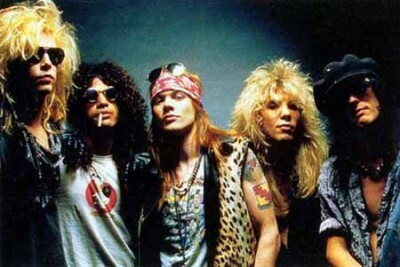 Their debut Appetite For Destruction came out in 1987. They took forever to follow it up, well four years with Lose the Plot one and 2, sorry Use Your Illusion I and II (Exhibit A for the Prosecution: why releasing Albums on CD became a bad idea, Exhibit B Oasis’ Be Here Now). Last year they released their album Chinese Democracy which was first being slated for release when I was still at school…I’m now 32. Somehow, I didn’t even put it on my Christmas list. Must have had my mind on other things. But all those things aside…this is a class tune. And if this doesn’t make you want to headbang and play air guitar…well, i guess you were never an adolescent boy, were you…? Anyway, I digress. This was a double 7″ featuring four acts from Glasgow -Mogwai, El Hombre Trajeado, The Yummy Fur and The Karelia. It was released in 1998 on the London indie label Pastic Cowbly, in association with Glasgow label Guided Missile. Of the four acts, Mogwai are the best well known, still recording to this day and having released their most recent studio album The Hawk Is Howling last year. El Hombre Trajeado split in 2006 – if you click on the link, they have made it possible for you to download all their stuff from their own website. The Yummy Fur split in 1999, singer John McKeown has gone on to form the 1990s, and towards the end of their life the band also included Alex Kapranos and Paul Thompson who would go on to be half of Franz Ferdinand. The Karelia also included Alex Kapranos (then known as Alex Huntley). 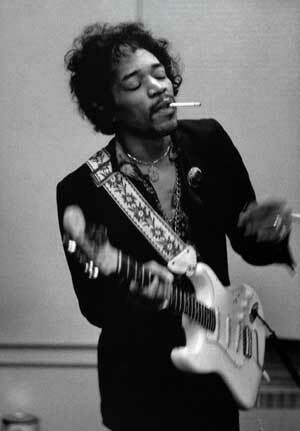 They only released a handful of recordings, which were at one stage changing hands for huge sums. As ever, if you want to get your hands on physical copies of records by these artists, try Avalanche Records. Whatever you might have got the impression from, over the last two weeks particularly, my record collection is not made up solely of things from the £1 bins of Avalanche Records, Cockburn St, Edinburgh (though they are lovely people). The thing is, I have got some absolute goldmines out of there, including records I have read about and wanted to hear and just haven’t for whatever reason. Well, if you can a) own the thing rather than just copying it b) support an excellent record shop and c) not have too pay much for it, why not? Coldcut were/are two male producers Matt Black and Jonathan Moore, who are responsible for violently cool label Ninja Tune, which is still running to this day. 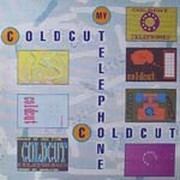 Coldcut’s My Telephone 7″ is interesting for it’s place in the gran scheme of things and how music, both ‘indie’ and ‘dance/’electronica’ got shaped over the course of the last twenty years or so – not that these are separate ghettos, obviously. Coldcut had made the cover of the NME in 1987 talking about sampling with a record called ‘Let Us Play’. Then they made it onto Top Of the Pops in a fairly short space of time -twice -when they launched the quite successful for a time careers of both Yazz and Lisa Stansfield. Lisa Stansfield can just about be heard on ‘My Telephone’ which only made it to no.52, but is much better than the big hit with Stansfield ‘People Hold on.’ The following year it was reworked with Mark E. Smith to become The Fall’s first single of the Nineties ‘Telephone Thing.’ That made no. 58 in the charts and no.35 in John Peel’s Festive Fifty, which is generally a much better barometer of taste than the ‘proper’ charts, anyway. This piece on Coldcut and The Fall might need enlarging to be read safely but it makes for interesting reading, from the NME in 1990.